With an artistic practice that involves large-scale drawing, ceramics and installation work, Zachari Logan creates a visual language that explores the intersections between masculinity, identity, memory and place. While earlier work centered on the artist’s body as a queer embodiment of nature, his more recent practice engages ideas of beauty, empirical explorations of landscape and overlapping art-historic motifs. 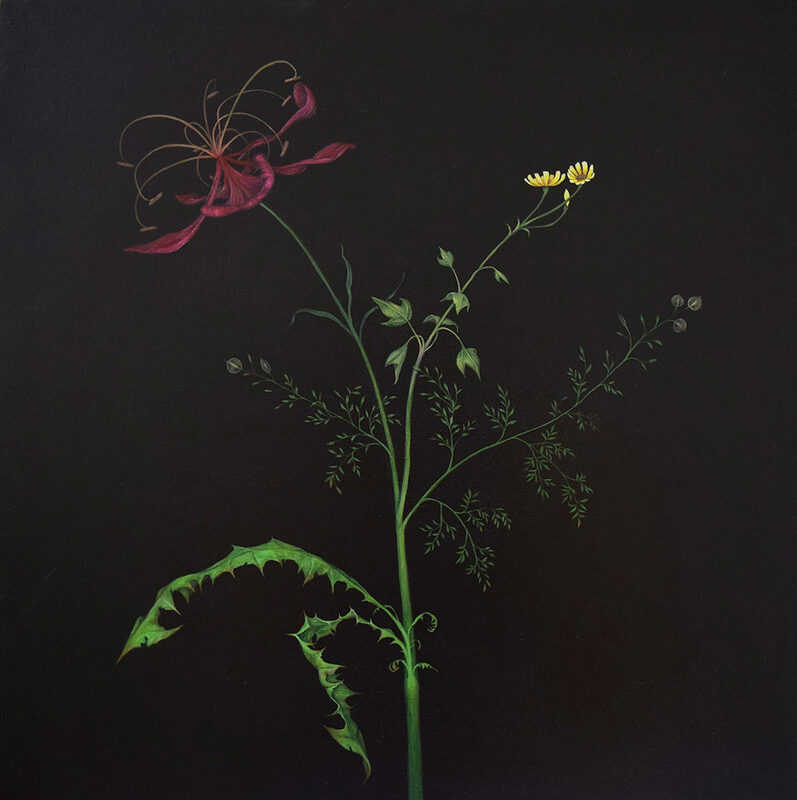 Created specifically for Art Gems, Fantasy Flower 1 (after Mary Delany)depicts a single flower that not only celebrates flora, but also highlights the duality between mortality and strength. The Saskatchewan-based artist has exhibited extensively internationally, and he has attended residencies in New York, Paris, Vienna, London, and Calgary. Logan has collaborated with acclaimed artists Ross Bleckner and Sophie Calle. In 2014, he received the Lieutenant Governor’s Award for emerging artist, in 2015 an Alumni of Influence Award from the University of Saskatchewan, and in 2016 was long-listed for the Sobey Award.​ Works by Logan are found in private and public collections worldwide, including the National Gallery of Canada, Art Gallery of Ontario, McMichael Canadian Art Collection, Mackenzie Art Gallery (Regina), Remai Modern (Saskatoon), Leslie-Lohman Museum (NYC), Scarfone Hartley Gallery: University of Tampa, Toronto Dominion (TD Trust), and Cadillac Fairview.